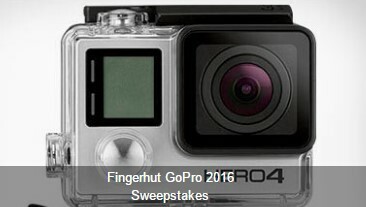 Fingerhut wants you to enter daily for a chance to be one of ten lucky winners who receive a GoPro Hero 4 Camera to record all of your summer fun! Ten (10) Grand Prize Winners will receive a GoPro Hero 4 Camera. HINT: You can actually get up to TEN entries a day. See the rules for details.